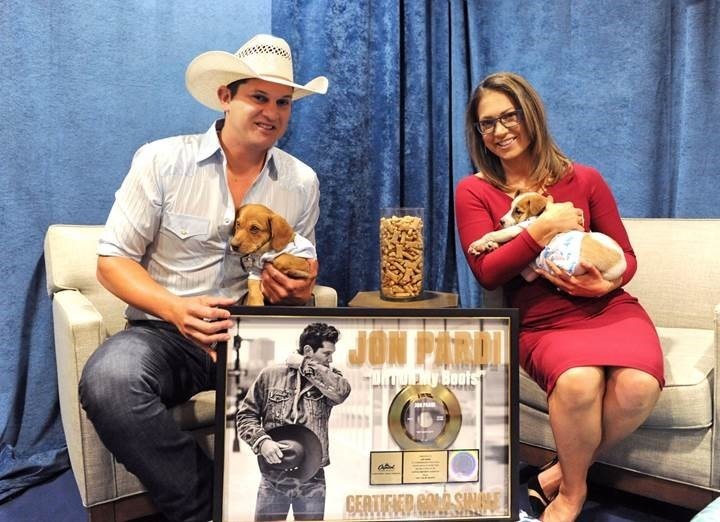 Capitol Records Nashville’s Jon Pardi celebrates an incredible three weeks at No. 1 on the Billboard Country Airplay chart with “Dirt On My Boots,” which also peaked on the MediaBase country airplay chart this week. Additionally, the hit song recently earned RIAA Gold certification recognizing its sales and streaming topping 500,000. When visiting ABC’s Good Morning America last week to perform “Dirt On My Boots,” Pardi, Ginger Zee and a few special guests for National Puppy Day were prepping for the broadcast with a pre-show interview when this year’s ACM New Male Vocalist of the Year was surprised with a plaque commemorating the track’s golden success. View the Facebook Live video HERE. “Dirt On My Boots,” written by Rhett Akins, Jesse Frasure and Ashley Gorley, follows Pardi’s No. 1 Platinum-selling smash, “Head Over Boots.” Both tunes are featured on his No. 1-debuting album, California Sunrise. 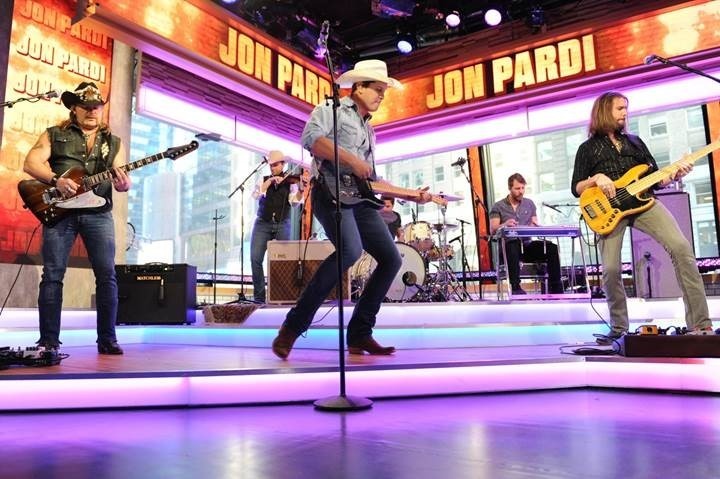 See Pardi performing “Dirt On My Boots” on Good Morning America HERE and performing the title track HERE. Hunter Hayes Shatters the Past with Provocative New Music Video for "Yesterday’s Song"